Are you looking for a nice sneaker for your casual needs? 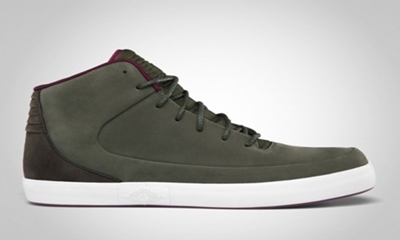 If you are then the latest lifestyle shoe from Jordan Brand might give you what you are looking for. One of the well-loved models from Jordan Brand’s lifestyle collection shoes, the Jordan V.9 Grown is now available in the market in CRG Khaki/Mulberry-Velvet Brown-White, which looks very simple but definitely eye-catching because of its unique colorway. This is now available at a very affordable price of $90 so grab one now and you won’t regret it! Jordan V5 Grown Low Hitting Shelves Again! “Black Gum” Jordan V9 Grown to Be Released!